Printed General Order no. 66 - Department of War. 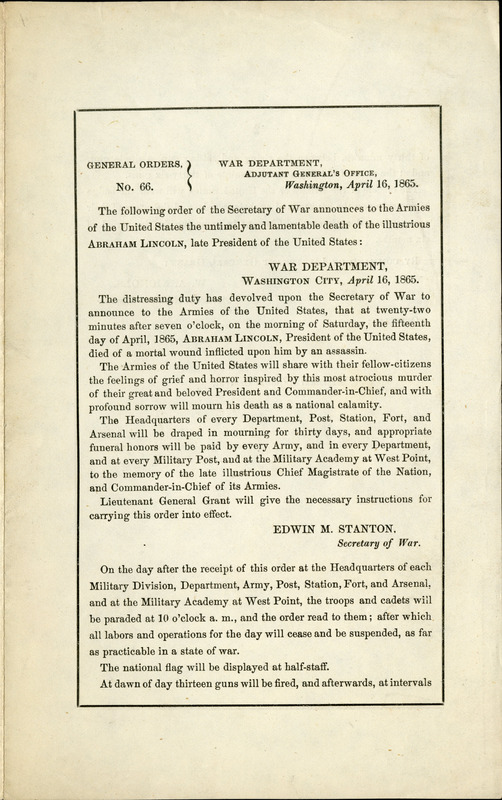 Official general order issued by the United States War Department announcing President Lincoln's death and ordering various mourning rituals be observed.